Join the NCMC Foundation and East Morgan County Hospital Foundation in supporting Banner Emergency Medical Services for the upcoming Double Barrel Blast Sporting Clays Tournament! 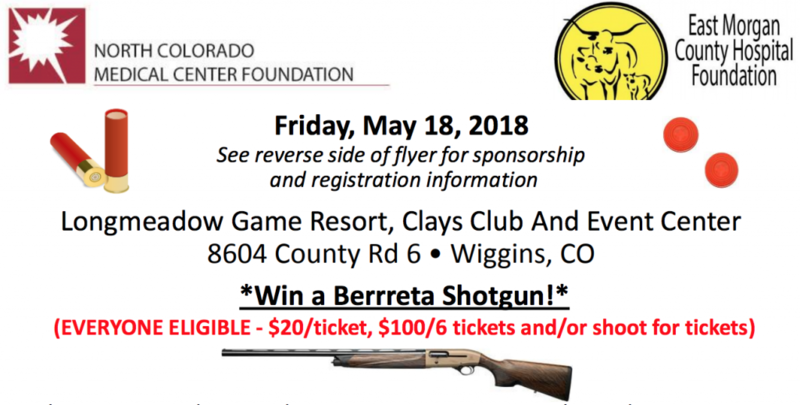 Held at the extraordinary Longmeadow Game Resort Clays Club & Event Center in Wiggins, this promises to be an amazing day of sporting clays, food and fundraising for a great cause. Banner Health EMS Services will benefit from your participation and support through equipment purchase that directly save lives throughout northern and eastern Colorado. Feel free to download the event flyer and sponsorship sign-up form below!